The Law and Christianity series publishes cutting-edge work on Catholic, Protestant, and Orthodox Christian contributions to public, private, penal, and procedural law and legal theory. 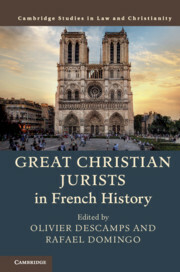 The series aims to promote deep Christian reflection by leading scholars on the fundamentals of law and politics, to build further ecumenical legal understanding across Christian denominations, and to link and amplify the diverse and sometimes isolated Christian legal voices and visions at work in the academy. Works collected by the series include groundbreaking monographs, historical and thematic anthologies, and translations by leading scholars around the globe.